You guys know how much mom friends rock. How they can totally save you when you feel totally clueless and lost in parenthood. And turns out, the same can be said of a weight-loss journey. It’s just better when you have people around you supporting you! Which is exactly why we’re doing a special version of the 10 in 4 Challenge: A BFF edition! 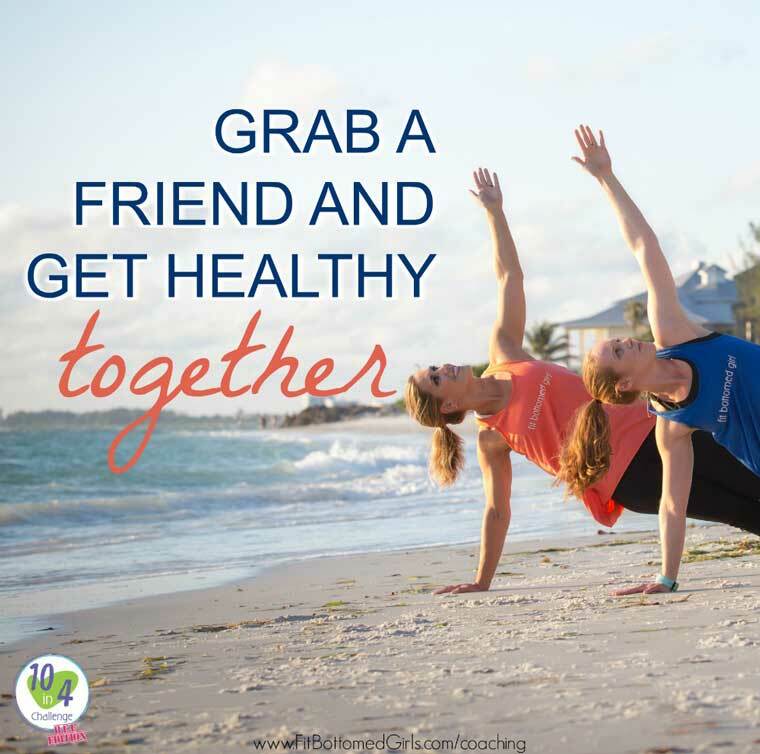 You can get all of the deets and sign up here for our online weight-loss with self love program, but because everything is better with friends, we’re encouraging you to grab a friend and sign up together. Don’t have a friend to sign up with? No worries! You’ll have the opportunity to be partnered up with a new bud. And, every time we do the 10 in 4 Challenge we seem to always have some moms in there, so it’s likely that we can even pair you with a fellow mom. Like to go solo? Hey, we support that, too, so there’s no rule saying you have to have a partner. You do you … and we’ll back you up in whatever way feels best to you! really great article. Thx giving information for Weight-Loss Journey More Enjoyable. Awesome list full of great Challenge and helpful reminders.